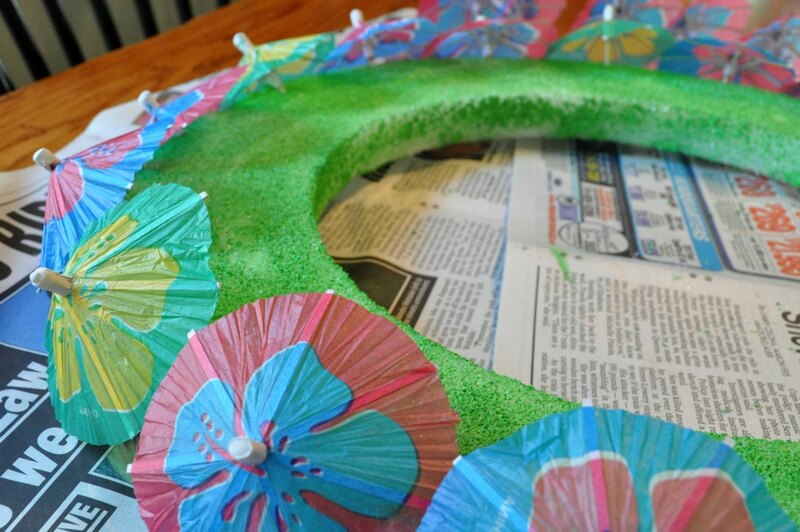 We threw a Luau Birthday party for Lily’s 5th and I know I owe you all the pics and details but let’s start out with one simple mood-setting craft: an umbrella wreath. 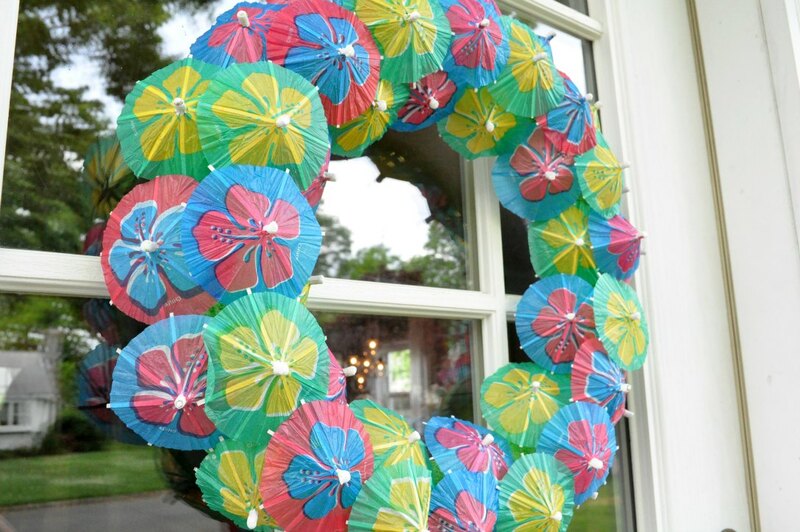 I was inspired by a few different umbrella wreaths I saw on Pinterest but I didn’t follow any specific tutorials. 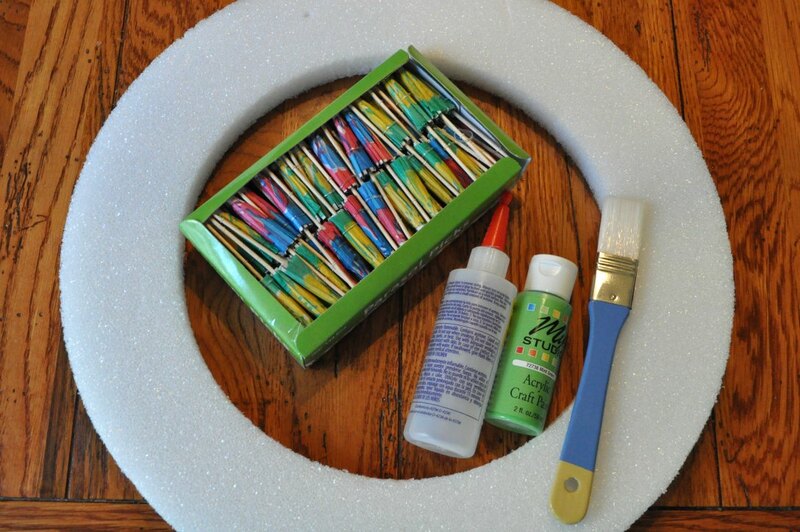 I started out with a box of paper umbrellas from Oriental Trading, a styrofoam wreath, some glue, some craft paint and a brush. 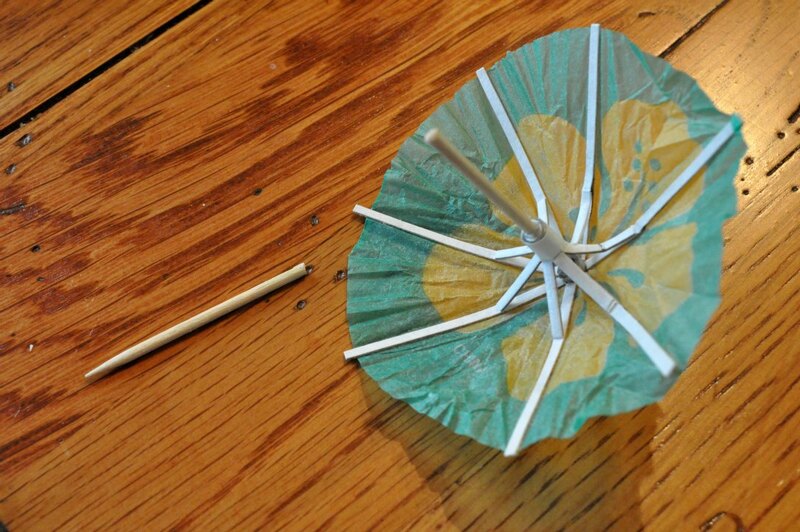 Before I added the umbrellas, I had to snip off about half of the toothpick so they wouldn’t stick out too much. 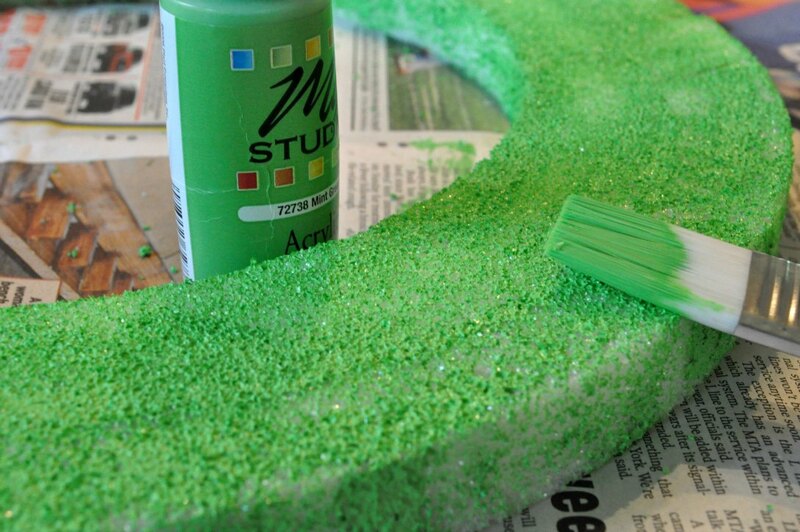 Each tip got a touch of glue before it went in. 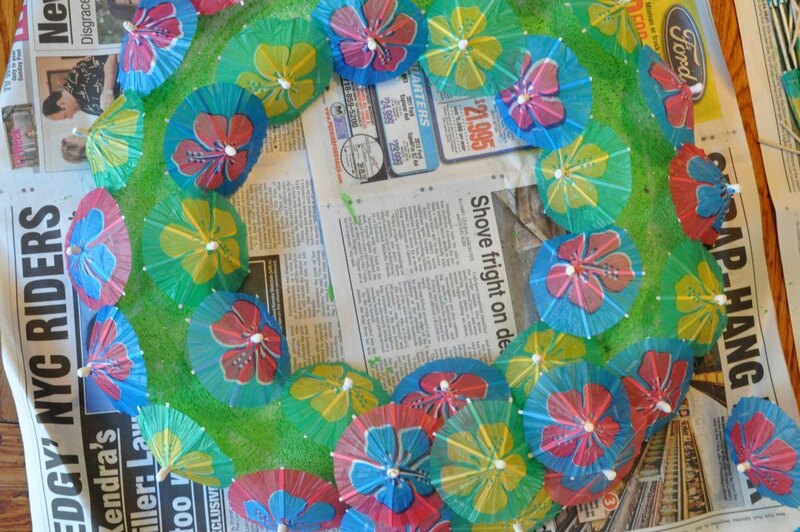 Next I started placing the umbrellas around the edge with a little overlap. Another line on the inside and it was starting to get filled in. I hung it on the front door and bought a couple hibiscus plants to create the tropical theme. 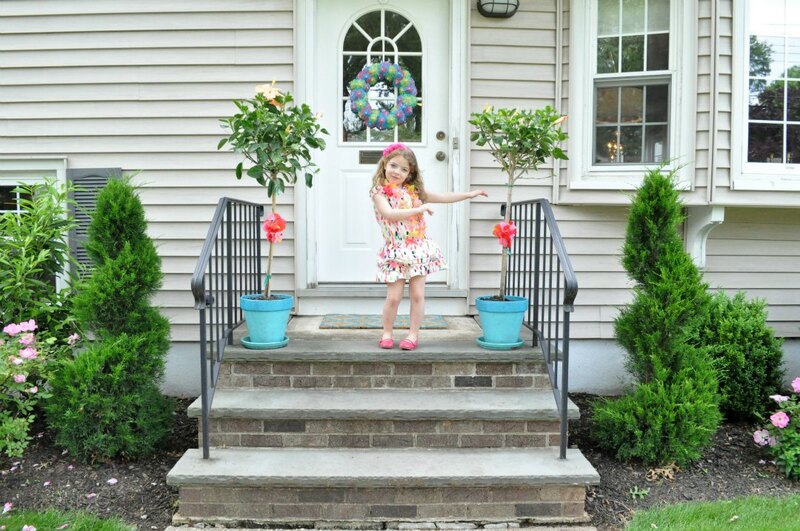 And, of course, the birthday girl had to give out hula lessons! Stay tuned for a full party recap!